Caffe Vita calls itself a roasteria café. That's to say that they roast their coffee beans in-house and you can even see the roasting facility. I discovered this café during a photography workshop on a cold day in the winter. I've been going there every time I have a photo tour or workshop in Bushwick. They are originally from Seattle. The coffee is really good, the staff is friendly, they have free wi-fi and a restroom! 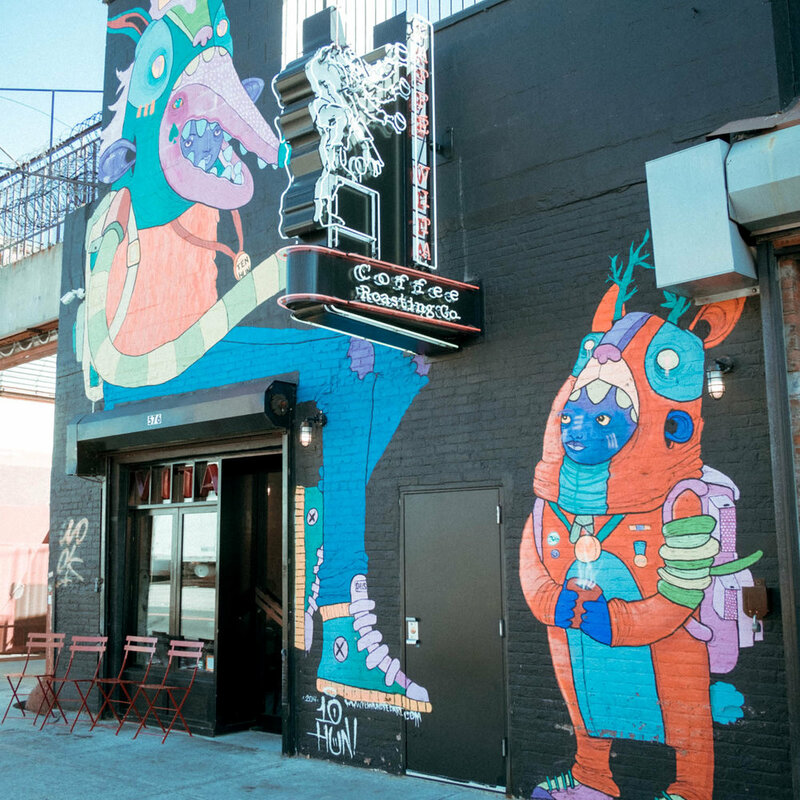 If you're going to Bushwick to see the amazing street art, this is a place to go to take a break.